Published in 1922 during those dark and dreary years of socialism's near-complete triumph, Socialism stunned the socialist world. 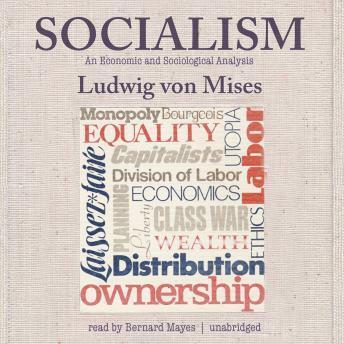 Mises has given us a profoundly important treatise that assaults socialism in all its guises, a work that discusses every major aspect of socialism and leaves no stone unturned. A few of the numerous topics discussed include the success of socialist ideas; life under socialism: art and literature, science and journalism; economic calculation under socialism; the ideal of equality; and Marx's theory of monopolies. With this monumental work, Mises laid the foundations for free society. Socialism has influenced scores of influential thinkers, including Friedrich Hayek, Ayn Rand, and Milton Friedman. It is read over and over again today, all over the world, inspiring throngs of new defenders of freedom.